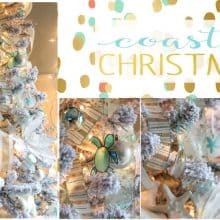 While I love my coastal Christmas wreath, I also like non-traditional Christmas Door Decor with a non-circular shape or made from unexpected materials, that kind of thing. 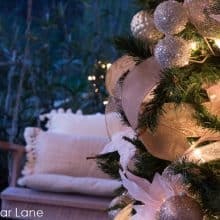 Here are five ideas from creators who “think outside the wreath”. 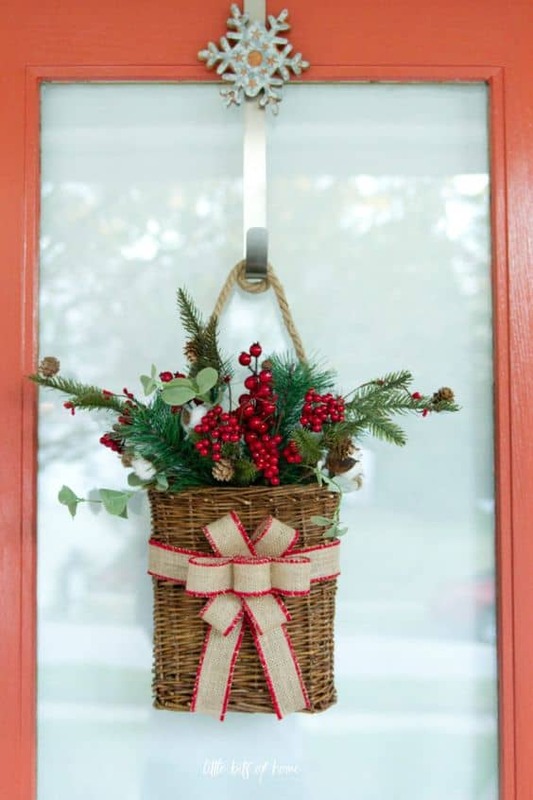 Samantha from Little Bits of Home created this pretty Christmas door basket. It’s so cute on her side door. 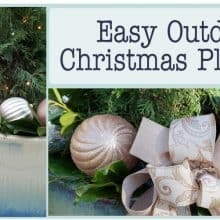 Rebecca from Zucchini Sisters made this Christmas Frame using branches from her yard. I like the unexpected rectangular frame. 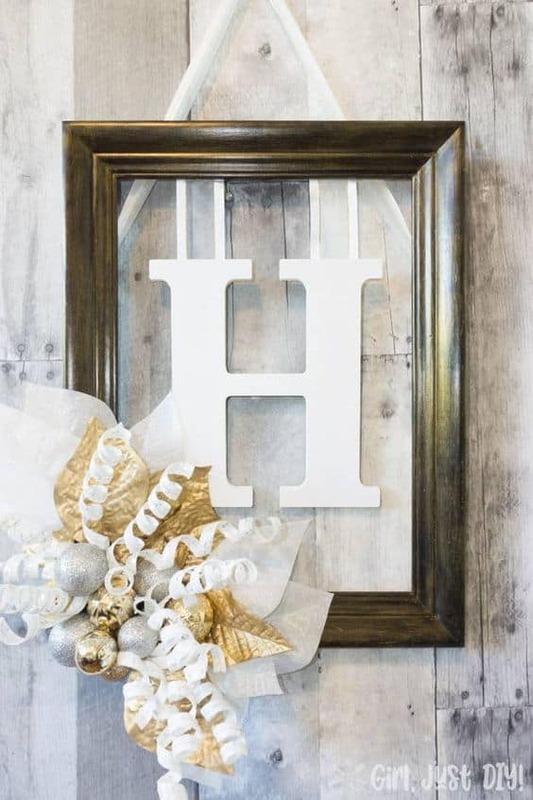 I love this cute frame made by Toni at Girl, Just DIY. 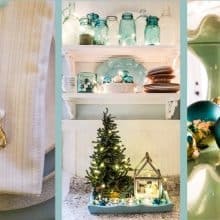 Using a photo frame is a great idea! 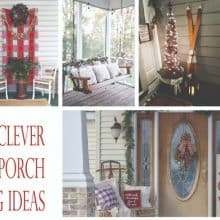 How fun is this original idea from my sweet friend Kim from Sand and Sisal? 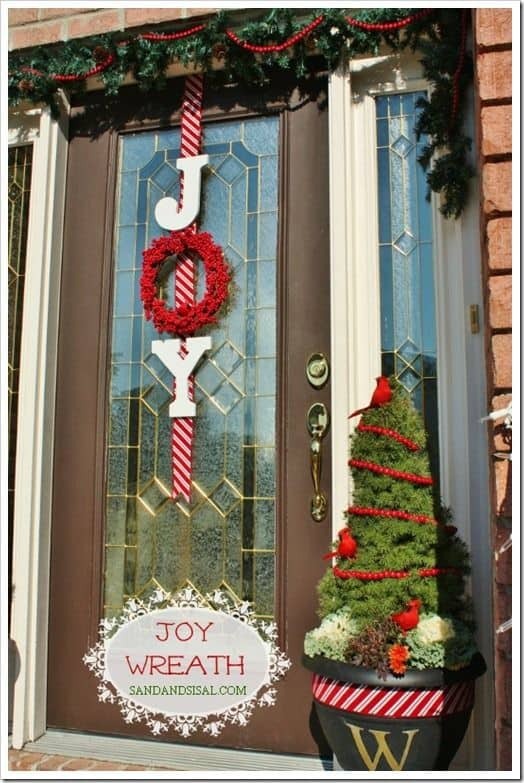 The wreath as the O in JOY is too clever. 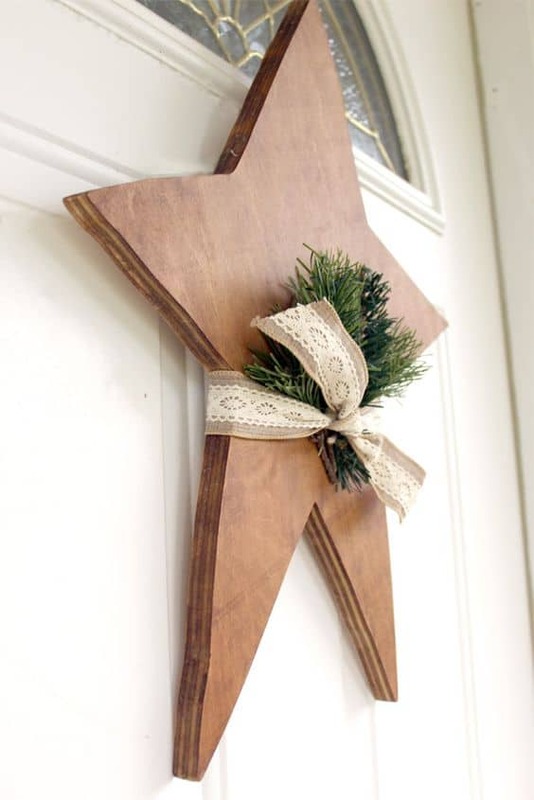 Eileen from Just Measuring Up made this sweet star shaped door hanger. It’s so simple and pretty. 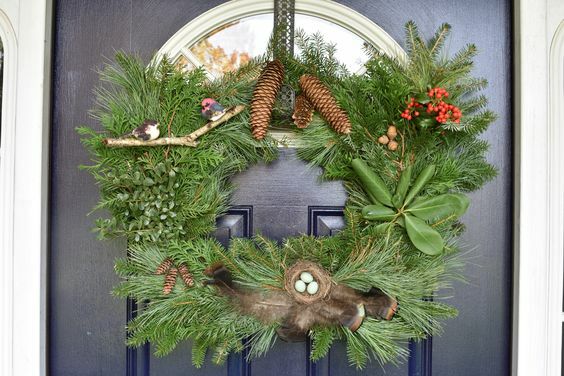 How about you, do you prefer a traditional wreath for your door at Christmas time or something a bit different? 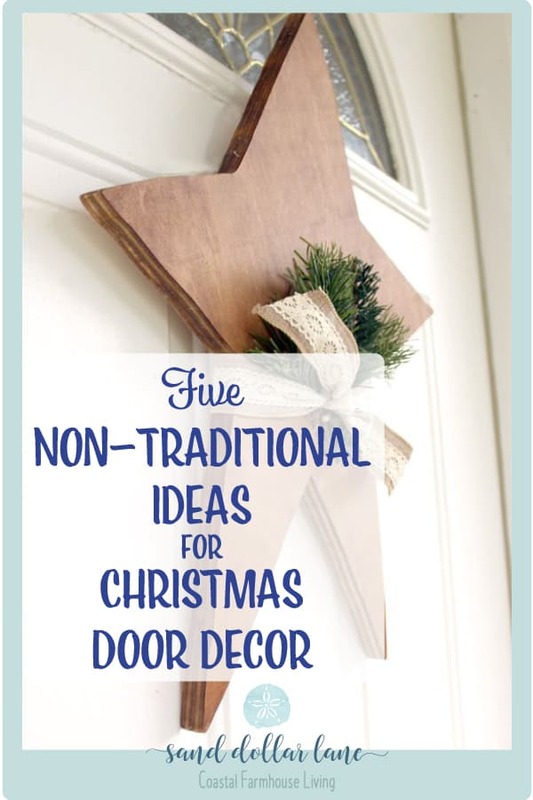 Love these, such fun ideas for the front door.